Blessed with a glorious voice and exceptional expressive abilities, Johanni van Oostrum was the undisputed highlight of the evening. She threw herself into the gory role with all the necessary self-denial required, culminating in a most memorable final scene. 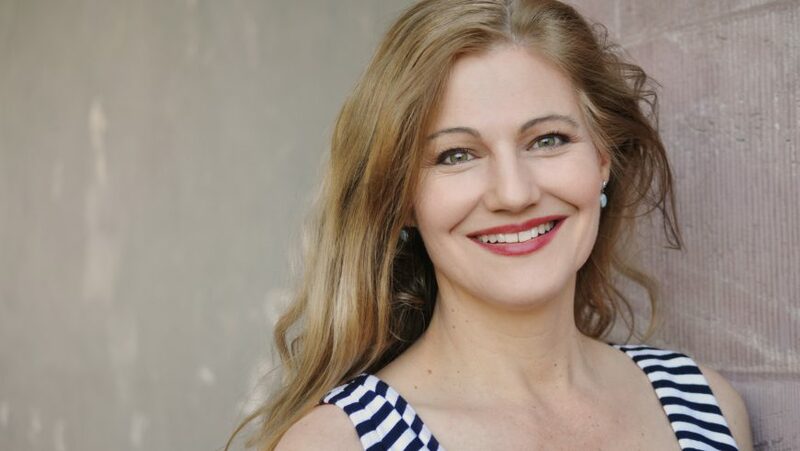 South African soprano Johanni van Oostrum is in demand as interpreter of leading roles in operas by Mozart, Wagner, Janáček and Strauss. She has performed under conductors such as Sir Simon Rattle, Alan Gilbert, Ivor Bolton, Massimo Zanetti, Henrik Nánási, Stefan Solyom, Gianluca Marciano, Jan Willem de Vriend, and worked with directors such as Harry Kupfer, Barrie Kosky, Tobias Kratzer, Florentine Klepper and Vera Nemirova. 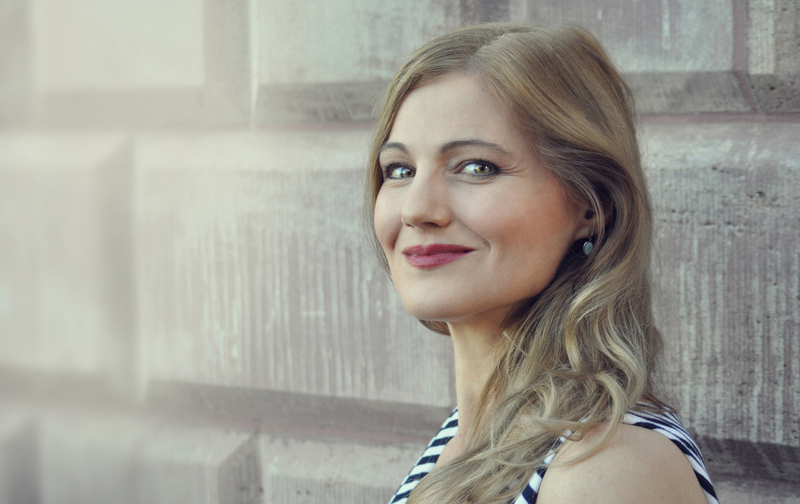 Her 2018-19 season features three major role debuts: the title role in a new production of Richard Strauss’ Salome at Oper Graz, Marietta in Korngold’s Die Tote Stadt with Opéra de Limoges, and Agathe in Weber’s Der Freischütz with Insula Orchestra under Laurence Equilbey at Théâtre de Caen, Aix-en-Provence, BOZAR in Brussels, Theater an der Wien, and the Ludwigsburger Schlossfestspiele. 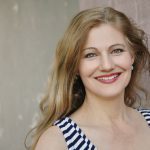 She also returns as Marschallin in Richard Strauss’ Der Rosenkavalier to the Komische Oper Berlin and to Theater Bonn as Chrysothemis in Richard Strauss’ Elektra and as Elsa in Wagner’s Lohengrin. In the 2017-18 season Johanni van Oostrum made her much anticipated North American debut with Minnesota Opera in one of her signature roles, Countess Almaviva in Mozart’s Le nozze di Figaro, a role she also performed at Theater Bonn. She debuted with Cape Town Opera as Senta in a new production of Wagner’s Der fliegende Holländer for which she won a Fleur du Cap Theatre Award and with Staatstheater Braunschweig in her role debut as Chrysothemis in a new production of Elektra. She ended the season with her house debuts at Konzert Theater Bern singing the title role in a new production of Janáček’s Katja Kabanova, at the Royal Swedish Opera in Stockholm as Marschallin in Der Rosenkavalier conducted by Alan Gilbert, and at Festspielhaus Baden-Baden in performances as First Lady in Mozart’s Die Zauberflöte under the baton of Yannick Nézet-Séguin. Ms. Van Oostrum’s 2016-17 season included return engagements to the Komische Oper Berlin for her role debut as Eva in Wagner’s Die Meistersinger von Nürnberg, to the Bayerische Staatsoper as Countess in Le nozze di Figaro conducted by Antonello Manacorda and First Lady in Die Zauberflöte conducted by Asher Fisch as part of the Münchner Opernfestspiele, and to the Hessische Staatstheater in Wiesbaden for her role debut as Ellen Orford in a new production of Britten’s Peter Grimes and as Countess in Le nozze di Figaro. She also returned to Theater Bonn as Ellen Orford and to the Bolshoi Theatre in Moscow as Marschallin in Der Rosenkavalier. In concert, she opened the season at the Staatskapelle Weimar as soloist in Ravel’s Shéhérazade conducted by Kirill Karabits. 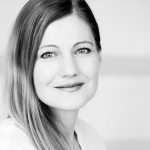 The 2015-16 season included a number of celebrated house and role debuts: as Grete in Schreker’s Der Ferne Klang at Oper Graz, as Judith in Emil Nikolaus von Reznicek’s Holofernes at Theater Bonn, and as Senta in Der fliegende Holländer at Theater Heidelberg, a role she also repeated at Theater Bonn. In concert she could be heard singing Beethoven’s Symphony No. 9 with the Staatskapelle Weimar. In the 2014-15 season, Johanni van Oostrum performed the role of Mimi in Puccini’s La bohème at the Deutsches Nationaltheater Weimar, as well as the Marschallin in Der Rosenkavalier and Elsa in Lohengrin. 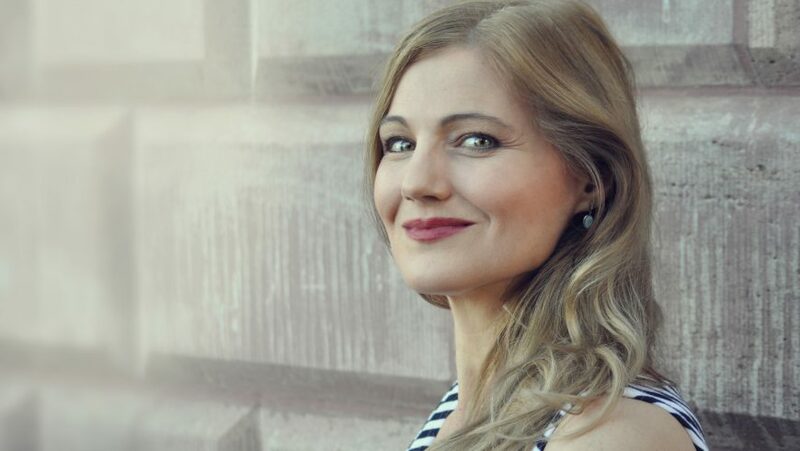 She also sang Elsa in Lohengrin at the Hessische Staatstheater in Wiesbaden, returned to the Komische Oper Berlin as Micaëla in Bizet’s Carmen and portrayed the Marschallin in Der Rosenkavalier at the Bolshoi Theatre in Moscow. 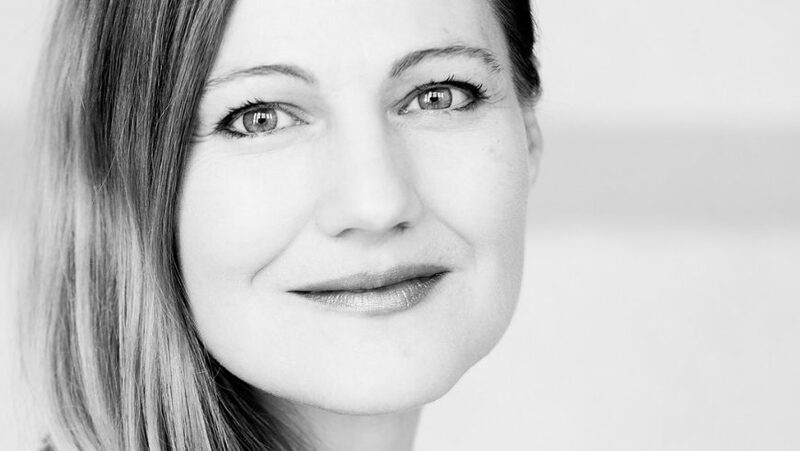 Johanni van Oostrum started the 2013-14 season portraying the role of Elsa in Lohengrin in her house debut at the Deutsches Nationaltheater Weimar. She also debuted at the Bayerische Staatsoper in Munich, singing the role of Countess Almaviva in Le nozze di Figaro conducted by Ivor Bolton. At the Komische Oper Berlin she could be heard performing the roles of Micaëla in Carmen, Antonia in Offenbach’s Les contes d’Hoffmann, the First Lady in Die Zauberflöte and Mary in Kálmán’s Die Herzogin von Chicago. In prior seasons at the Komische Oper Berlin she also sang the Marschallin in Der Rosenkavalier under Henrik Nánási. She came to international attention in 2012 when, at short notice, she successfully took over the role of Marschallin in Richard Strauss’ Der Rosenkavalier under the baton of Sir Simon Rattle at the Dutch National Opera in Amsterdam. 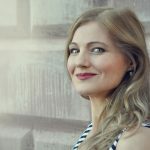 Her other past engagements include appearances at the Royal Concertgebouw in Amsterdam as Countess in Le nozze di Figaro, the Estonian National Opera as Marschallin in Der Rosenkavalier, The National Theatre Brno as Katja Kabanova, and in the theatres in Enschede and Maastricht as Countess in Le nozze di Figaro, Marschallin in Der Rosenkavalier, and as Katja Kabanova. As a concert artist she regularly appears in Beethoven’s Symphony Nr. 9, Bach’s St John and St Matthew Passions, Brahms’ Ein deutsches Requiem, Pergolesi’s Stabat Mater, the Mozart Requiem and Verdi Requiem, Haydn’s The Creation, Händel’s Messiah, and the Elias by Mendelssohn-Bartholdy. In 2013, on the occasion of the Richard Strauss 150th Anniversary Celebration Concert in Weimar, she sang orchestral songs by Strauss under the baton of Stefan Solyom with the Staatskapelle Weimar. She performed Strauss’ Four Last Songs, conducted by Gianluca Marciano at the Al Bustan Festival in Beirut, and performed the piece once more in Bayreuth, with the Staatskapelle Weimar, under the baton of Martin Hoff. 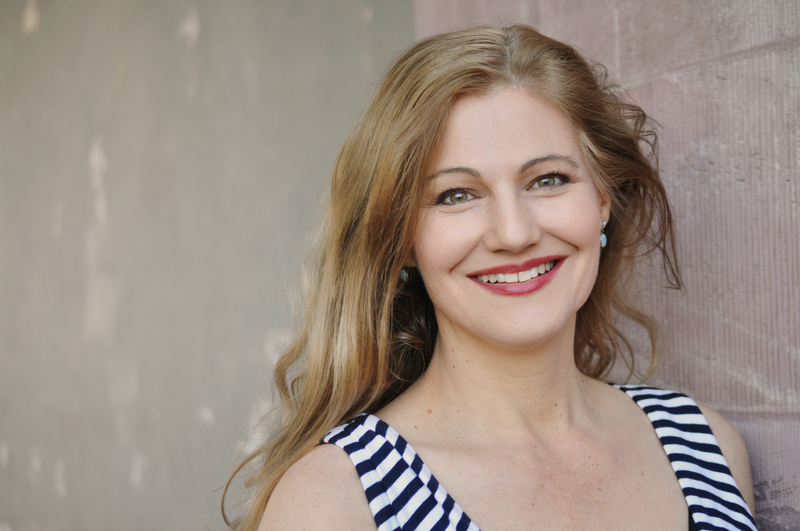 Born in South Africa, Ms. Van Oostrum is a graduate of the University of Pretoria. She received vocal training from Dr. Mimi Coertse and was a member of the Black Tie Opera. She won the Erna Spoorenberg Dutch Vocal Competition in 2005 and the Ruth Lopin Nash Award from the Oratorio Society of New York at Weill Recital Hall at Carnegie Hall in 2009. 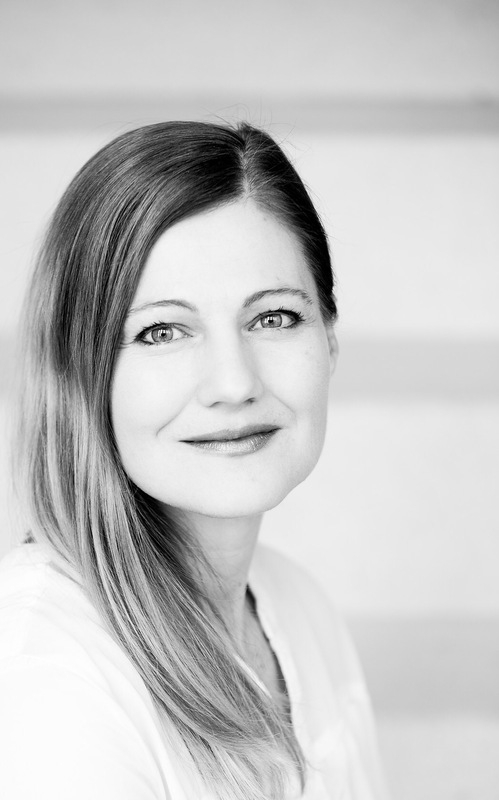 Den vokalen Glanzpunkt jedoch setzt Johanni van Oostrum in der Rolle der Ellen Orford. Sie ist nicht weniger als eine Idealbesetzung. Wunderbar satt ist die Mittellage, klangvoll sogar noch die ungewöhnlichen tiefen Töne (…), leuchtend, nein glühend intensiv geraten die Spitzentöne. Sie ist die gar nicht so heimliche Heldin der Aufführung. Sie liefert die stimmlich beste Leistung des Abends. Ob rezitativisch oder im Legato, dramatische Akuti oder große Intervallsprünge, technisch scheint es bei ihrem wohltimbrierten lyrischen Sopran, der zum Spinto tendiert, keine Grenzen zu geben. Die südafrikanische Sopranistin, die auch Senta und Elsa in ihrem Repertoire führt, überzeugt in der Rolle der nach Identität suchenden Frau voll und ganz.